The Aspire Cleito 120 Maxi-Watt sub-ohm tank provides a new level of power found rarely in sub-ohm tanks with replaceable atomizers. The new Aspire Cleito pushes the boundaries of conventional coil wattage rating and longevity. 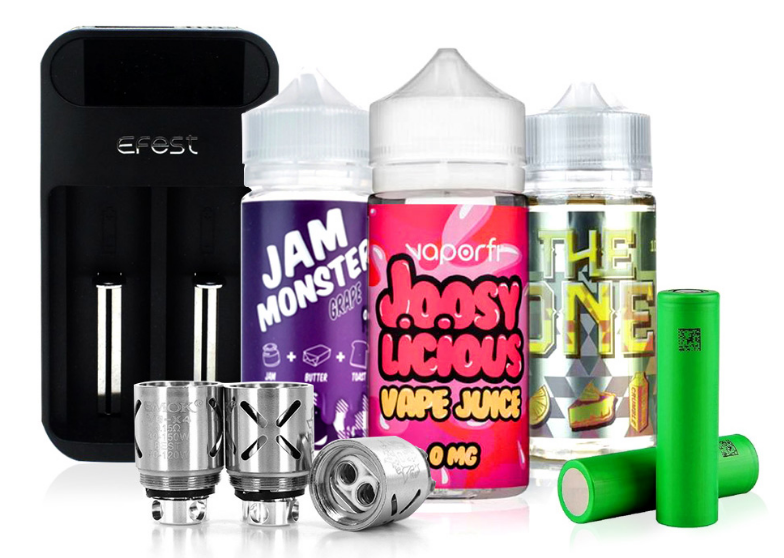 This tank features a delrin top cap making for a larger overall draw and unparalleled flavor. Many of the original designs have remained, however, this tank was revisited and improved greatly down to the smallest details. The Aspire Cleito 120 Maxi-Watt tank features a 0.16 ohm coil that is rated up to 120 watts, allowing for among the most impressive vapor production found in sub-ohm tanks. This tank also boasts a 4ml vape juice capacity allowing for a less unwieldy experience. Be sure to buy an Aspire Cleito 120 Maxi-Watt Sub-Ohm Tank today! For the price and how this tank preforms, be it medium wattage too high wattage there is no tank on the market that I can find that meets this level of performance. The cleito 120 has achieved much, the Vape quality, the flavor, and the clouds are absolutely spot-on. The general operation as well as the craftsmanship that went into this tank is impressive, you will be hard-pressed to find a better sub ohm Maxi watt tank on the market. I picked this tank up for around $20 from the best vapor site on the internet Direct vapor.com and it has not came off my X Cube Ultra since it came out of the box. In my opinion this is the best tank on the market today, I recommend you pick one up as soon as you can! Not sure how others feel, I own this as well as the tfv8 cloud beast by Smok and I actually prefer the cleito over the cloud beast simply because it has more flavor. It produces great clouds too but I can taste the flavor of all my juices whereas the cloud beast does not produce as much flavor as the cleito. Anyway, I obviously wouldn't be ordering another 120 if I didn't like them. The tank juice capacity is excellent, and the flavor is very good. If not for the slight leaking problem and the cap, I'd give it five stars, especially since my other 120 works fine. I guess I got a dud? Bought this for something different and new and I was not disappointed! Awesome flavor that I couldn't believe was possible! It's now my new favorite tank! I had the original Aspire Cleito, and it was great. When I saw this, I had to have it! The fact that they doubled the wattage output on an already perfect tank just upped the wow factor. Super thick clouds, no leaking, and flavor that can't be matched! I would definitely recommend this tank to all of my vaping friends!! Kudos to Aspire for making an incredible product! Im fairly new to the vaping world, going on half a year now. Started with a Sigelei Fuchai 200W TC mod and the Aspire Cleito sub ohm tank. It fell off the dresser not to long ago and busted the mod. Tank was still good though. Ordered the Sigelei Fuchai 213W TC mod using the same tank. I decided it was time to upgrade my tank to something that would produce even better flavor hits. Got on DV tuesday, and found this beauty. Aspire promised the first time so why not give it another go with the Aspire Cleito 120. And i couldnt be happier. A definite cloud gain yes, but an even more impressive flavor hit. I didnt realize how much of the flavor from my juice i had been missing out on. And a big shout out to DV, ordered it on Tuesday 9-20, and was surprised when i opened my mailbox today 9-22. Thanks DV, and thanks Aspire. This is a very good tank, and it can handle all day every day usage. It's a tank built like a tank. All performance, no frills. Does what it needs to do, produces crazy good clouds, takes on hi-vg juice/ all vg juice perfectly.